DESY and KEK are two labs that have a lot in common. They know a lot about accelerators, operated and have operated a number of them in their long and eventful histories. They are their countries’ hubs for particle physics research, but they also run accelerators for photon science. They are national labs that collaborate closely with other institutes and labs from around the world. And, notably, with each other. At the recent DESY KEK Workshop at DESY in Hamburg, Germany, the two therefore decided to extend the existing cooperation agreement by another five years. Even though the first cooperation agreement was signed some 25 years ago, the actual cooperation goes back more than 40 years, when the JADE experiment was in full swing (JADE stands for JApan, Deutschland and England, by the way, and was operated at DESY). At the moment, the particle physics community is gearing up for the start of the Belle II at KEK. 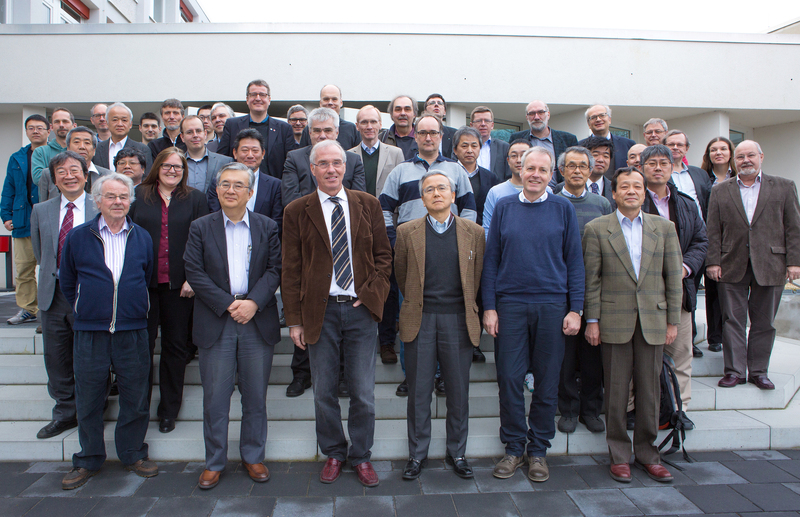 Since 2012, DESY has been one of eleven German and 98 international institutes from 23 countries participating in the particle physics experiment Belle II in Japan. Belle II is only one of many interests shared by DESY and KEK – for example, both are closely involved in the ATLAS experiment at the LHC and of course in the ILC. Masanori Yamauchi, the director general of KEK, and Helmut Dosch, the chairman of DESY’s board of directors, believe there is still enormous potential for future collaboration. “DESY and KEK have a great deal in common and many good cooperative projects,” says Masanori Yamauchi. 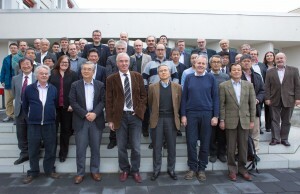 To ensure that this good cooperation can continue, the third DESY KEK Workshop was held from 7 to 8 March 2016 in Hamburg. These workshops take place once every eighteen months, alternating between Hamburg and Tsukuba, to give the managing board and the research scientists an opportunity to discuss existing and future projects, to develop new ideas and to move projects ahead. “DESY is not only helping to build the central new detector for Belle II but will also be testing it here,” explains Joachim Mnich, DESY’s director of particle and astroparticle physics. Another idea that emerged at the meeting is an experiment with a cryomodule on a boat. Accelerator experts are considering shipping an accelerator module from Hamburg to Tsukuba after first carrying out very precise measurements on it. They would then repeat the same measurements on its arrival at KEK to check how the performance of the high-tech module is affected by the long sea voyage (if at all). If accelerator modules for the future ILC are to be manufactured all over the world – in Europe, America and Asia – it is essential that they are capable of being transported over long distances. In addition, KEK is interested in DESY’s international side and is therefore sending a delegation to Germany for a number of days, for example to hear more about DESY’s experiences with international users.